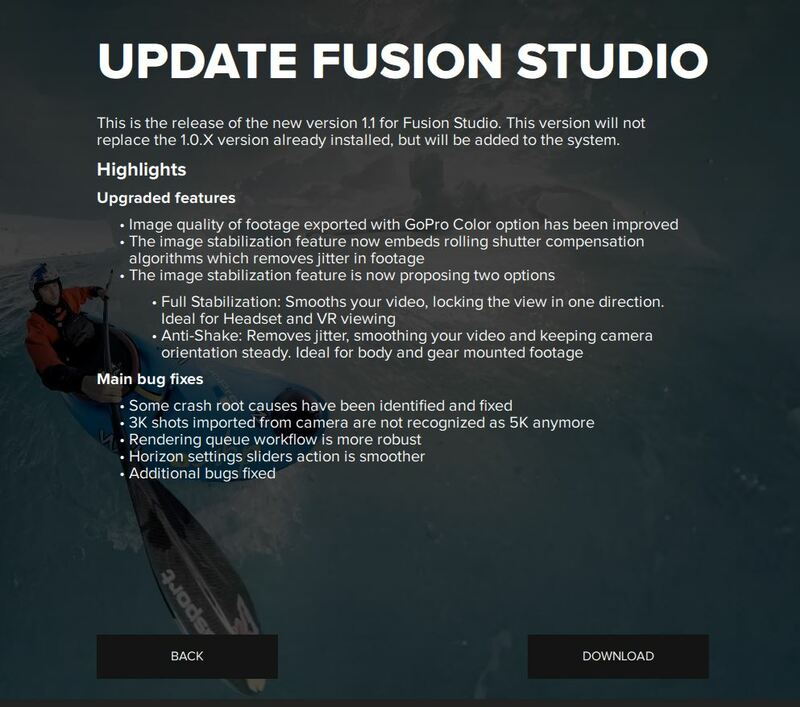 Gopro has released its updated app (v1.1) and firmware for the GoPro Fusion. Not only does it now have overcapture but in addition, Gopro has improved the stabilization significantly. So much so that I’m wondering if it’s now as good as the Rylo’s class-leading stabilization. Today I’m skiing with the Fusion and Rylo to find out! Stay tuned! And btw I still have many news from CES 2018. So pls check back here tomorrow!